To quote the song, Everything is awesome! Amazing, super excited. When will it be available? The vehicle looks great. The figs.... hmm.... Oh well. Love it. Much better model than BttF. 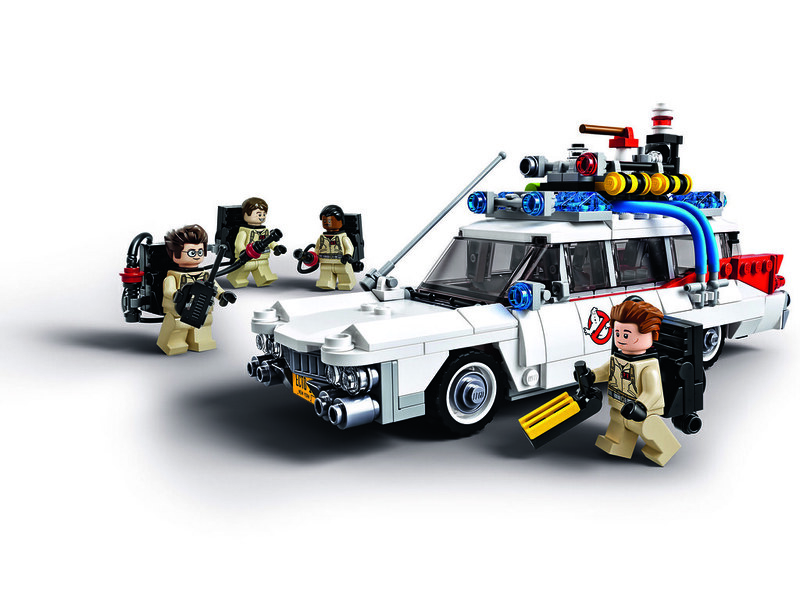 Only question is if the doors open and will the minifigs fit inside the car. 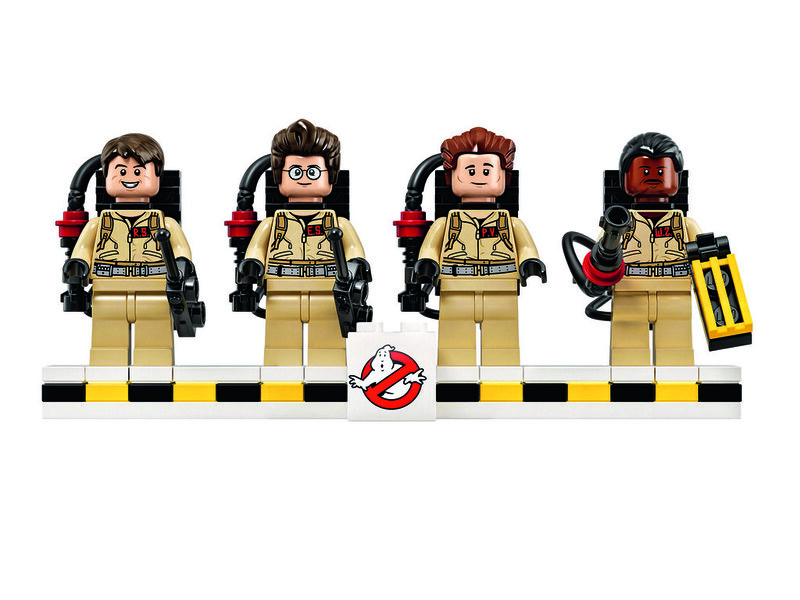 Am I the only one who was hoping for a Slimer fig? Very surprised to see how fast they turned this around and at how well they pulled it off. Must have for me as well! Oh gosh. So excited! I really love it. Surely this could have quite easily been done from the Rotta the Hutt mould? LOVE IT!! I can't wait to build this one! Certainly day-one purchase for me. Rotta the Hutt would be great as Slimer, but I'm sure the SW license will not allow that, unfortunately. Marcos is really hitting the sweet spot with so many sets. I don't know why, but those figs just aren't doing it for me, and I was looking forward to this so much. They look more like amateur 'stand-ins' using whatever was available, rather than any official likenesses. Very poor. Egon looks like a child. I had to read the torso name-tags to distinguish Venkman and Stantz, I just couldn't be 100% certain. Winston doesn't look right either. It's just a very very poor/lazy choice of hair pieces, really. Car looks good (hopefully no stickers), but I would like to have seen working doors. And if you can't fit all four figs inside, it's another 'point off'. Looks like a wait and see it in person for me, but on this evidence I'm not enthused (and i've wanted this for years). I haven't watched the movie yet, it this looks so awesome! I want one. 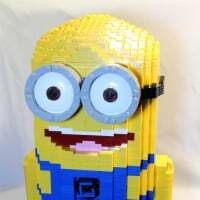 ^^ For once, legomatt, I diasgree with you! It's Lego after all, it isn't supposed to be 100% accurate otherwise they would just be replicas or models..... personally I think it's a great set and could be my first non-SW purchase for a long time! Yeah, I agree, the figs are poor. As Characters go, Ray looks the best representation IMO. Great set overall. Concerning the figs, I think they look great. The last time I watched ghostbusters was probably at least 20 years ago (liked the film on an entertainment level, certainly not for substance) and I have to admit I'm not too fixated, whichever license, with how the MF's look. The set looks awesome, and I'll take whatever figs that come wiht it. Of course, I'm not a 'fanboy', so that obviously screws my opinion. I totally agree with you that they're not meant to be 100% perfect replicas, and I wouldn't want that (i love the old style Boba Fett for example, he had a perfect blend of lego cuteness with instantly iconic character recognition). I love the effects of looking through a 'lego lens'. I'm just not 'feeling' it with these. It's totally subjective, of course, but the characters just aren't coming through very strongly for me. It's almost like i've seen better mocs of the busters. I really wish they had arm printing though. It's a small detail, but an important one (for me). All said, It IS a good set, still. I think what bugs me the most about the figs is that they're wearing tan jumpsuits for no discernible reason. I'll still buy this set immediately, though. How did I get quoted for something I never said? Also, it is perfectly reasonable for folks to discuss pros and cons of a new set reveal. It would be rather boring if we all agreed it was perfect or we all decided it was despicable. Will be interesting to see if it receives a wider release like the Back to the Future set. ^ it will, they'll make 100000s of these. If they are sensible. I'll wait til 1/3 off like BTTF. Seriously, how can anyone criticize this? It is beyond awesome. It alone justifies the entire existence of CUUSOO. The figs look fantastic and instantly recognizable to me. 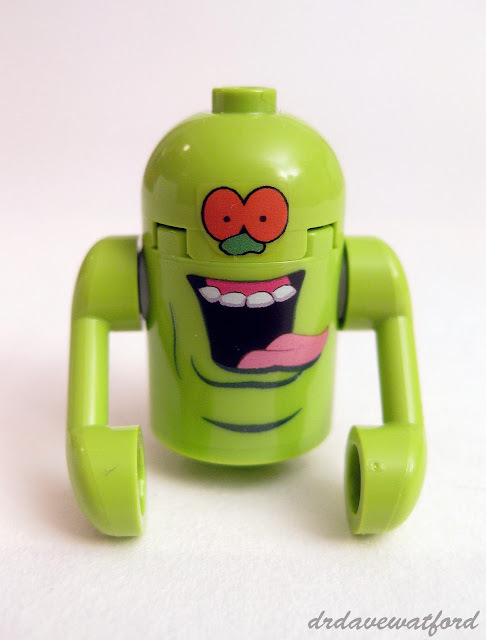 What about putting a lime green head inside a clinger from Alien Conquest for a make-shift Slimer? Might be passable at a distance at least. This is pretty cool. I think the figs are good too. This also sets up the building to be released at some point as well, doesn't it? After all, GB3 has been in preproduction for about 10 years! This is awesome. I guess they took what was missing in the BttF set and put it into this set I don't think any of us could ever have thought possible a few years ago. I am excited. Why do I have to wait another three months? Aaauugh! 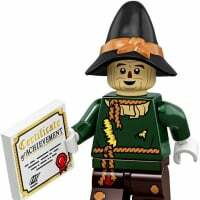 I'm not seeing the complaints with the minifigures. I think they did an excellent job here and it will absolutely be a day 1 purchase for me. I only have 1 complaint and it isn't directed solely at this model. Winston's hair is horrible. Holy Christ they need a new hair mold for black males in the worst way. Every black male we get, wether it be Winston or the Falcon, ends up looking like Sammy Davis Jr. I just don't get the hair on Venkman. Brent had it nailed perfectly..
^I don't believe that's an existing piece, though. Still, I'd have preferred the widow's peak on Venkman rather than Joker hair. And I didn't realize the original CUUSOO design had the wrong jumpsuit colors as well. 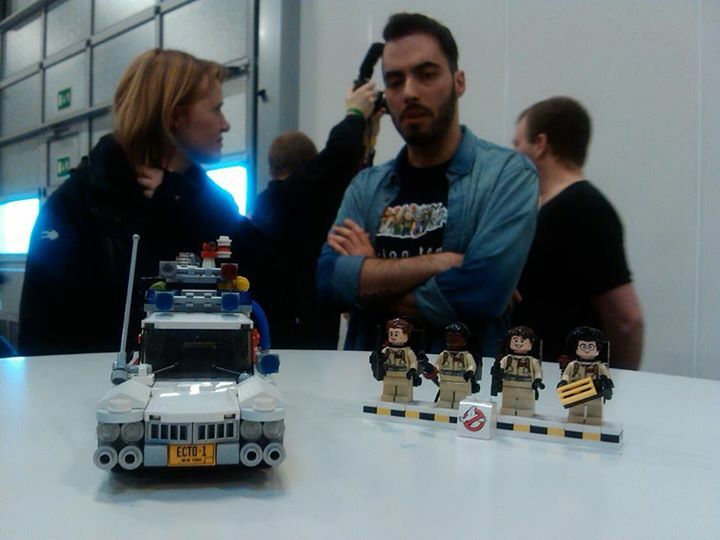 Perhaps that's what LEGO based them off of instead of the film. ^To be fair, my complaint about the jumpsuits is less at LEGO and more at the general misconception that they wear tan jumpsuits. It's similar to my befuddlement over the fact that Hoth Han always seems to be wearing a blue parka even though it's clearly brown in the film. 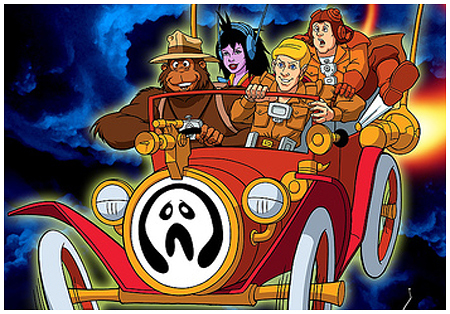 To your point, I actually liked Filmation's Ghostbusters cartoon, but I was four or five when it originally aired and it's one of those things that I'm worried if I watch it now, I'll wonder how it was possible I even liked it as a kid (much like the original Thundercats). Hmmm, not impressed for 50$... Needed a Slimer Fig. Will be waiting for the old Amazon 30% off or more at least. Filmation Ghostbusters is literally the worst thing in the history of things. I need eye bleach after just seeing that pic. Hmmm, not impressed for 50$... Needed a Slimer Fig. Yeah no Slimer that bites... I guess they were in to much of a hurry to really out before the June release but it is a very nice set. The set looks great. I'm only criticizing the $50 price point...ok, and Peter's hair. Wait, does the set only come with one trap? On the hair issue... keep in mind they may not be going for likenesses of the actors, as those image rights may be separate. We may be seeing the influence of other media renditions like the Real Ghostbusters cartoon. (Which is actually my favorite thing about the franchise, the movies were more meh for me.) 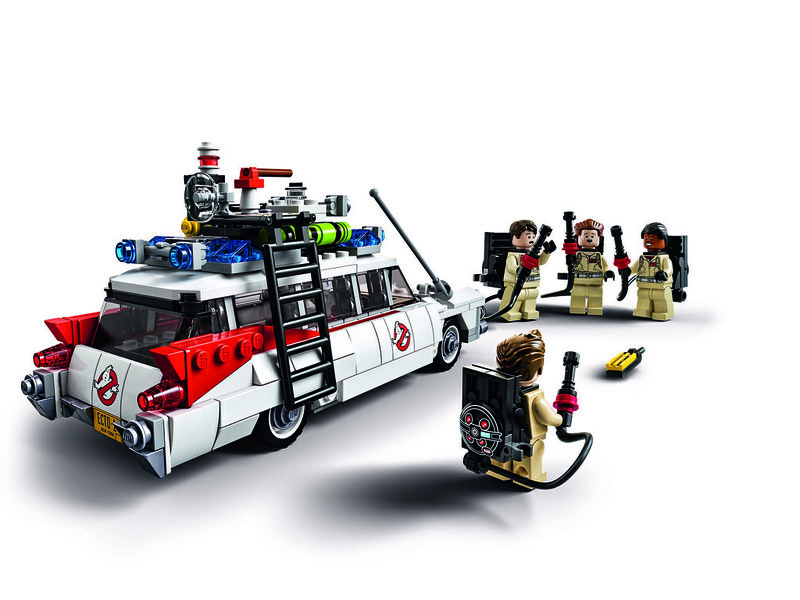 The minifig Venkman is a good rendition of the cartoon Venkman, which I favor, but I am no doubt in a small minority compared to movie-oriented fans. 'Course then we'd need a blonde Egon and clean-shaven Winston... Anyway, it would not surprise me, knowing Bill Murray and his feelings about the GB franchise, if they were trying to make Venkman look as LITTLE like Murray as possible to avoid legal entanglements. ^Licensing Bill Murray's likness was actually the hold-up in the Mattel movie figures, but he's since come around (and has actually frequently stated that he loved working on the first movie). I personally think they were going for 'as close as we can get with existing hair pieces', but I also think Venkman should have had the widow's peak over the 'no one in life has ever had this hairstyle ever' hair piece. The other three aren't really an issue for me.